SSC GD Answer Key 2019 – Staff Selection Commission is releasing answer key of SSC GD Constable Recruitment 2018-2019 in month of April/May at ssc.nic.in. Exam was held from 11 February 2019 to 11 March 2019 in three shifts each day. Candidates can check SSC GD Answer Key of their exam date and shift along with response sheet. Log in with user ID and password to know correct answers of 100 questions. Use it to predict marks before declaration of result of SSC GD 2019. Get here complete details of SSC GD Answer Key 2019 including date, PDF download, cut off. Latest: Answer Key of SSC GD Constable 2018-2019 recruitment is expected by April 26, 2019. Scroll down to know why. All 30,41,284 candidates who appeared in Constable (GD) in CAPFs, NIA, SSF and Rifleman (GD) in Assam Rifles Examination, 2018-2019 for 58373 (REVISED VACANCIES) can check SSC GD 2019 Answer Key at the same time. Important dates related to answer key release and related events are as follows. A few days time is given to download question paper with answers PDF version from ssc.nic.in. Challenges should also be submitted within deadline. Download Here: Candidates can download SSC GD Answer Key 2019, response sheet, submit challenges as per availability at ssc.nic.in. 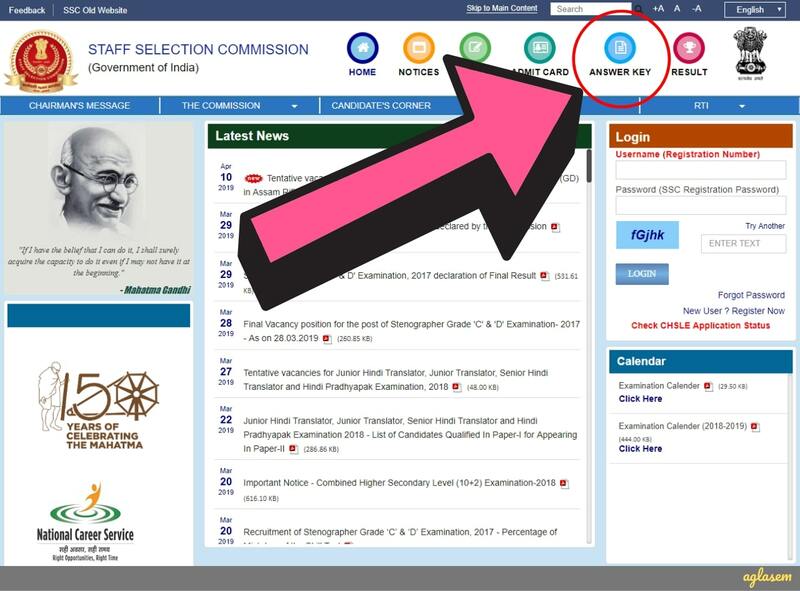 Although Staff Selection Commission has announced a tentative date of declaration of result, it has not said anything about issuance of answer key. However, to get an idea of when answer key could be out, let us take a look at the usual timeline of SSC Answer Keys. We have compiled here a timeline of recent answer keys released by SSC. Answer key released on 08 Mar 2019, that is 28 days after last exam date. Candidates can check answer key from 08 to 11 Mar 2019. Answer key released on 03 Mar 2019, that is 44 days after last exam date. Candidates can check answer key from 03 to 06 Mar 2019. Answer key released on 28 Feb 2019, that is 46 days after last exam date. Candidates can check answer key from 28 Feb to 02 Mar 2019. Therefore, SSC GD Answer Key 2019 could be released anytime between April 8, 2019, and April 26, 2019. Once answer key is available, candidates can check it for 2-3 days by logging in. Thanks to the efforts of helpful readers such as you, we have been able to compile questions asked in SSC GD Recruitment 2019 computer based tests. You can also use the tool to input your questions and answers. If candidates forget their registration number or password of SSC GD, then they can retrieve it from ssc.nic.in. Follow the steps below. Go to ssc.nic.in and find the login section. Enter either email ID or phone number. Registration number appears on screen. Please send your SSC GD 2019 question paper with answers! You are one of the brave govt job aspirants who applied for the tough competitive exam of SSC GD. With your hard work and dedication, you are surely a step closer to your dream now. There are many more like you who are preparing for government job exams, or as they are fondly called, sarkari naukri. AglaSem provides all study material for free to govt job aspirants. We are trying to compile SSC GD 2019 Question Paper with Answer Key for future govt job aspirants. We will be highly obliged to you if you send us your question paper with answer key. 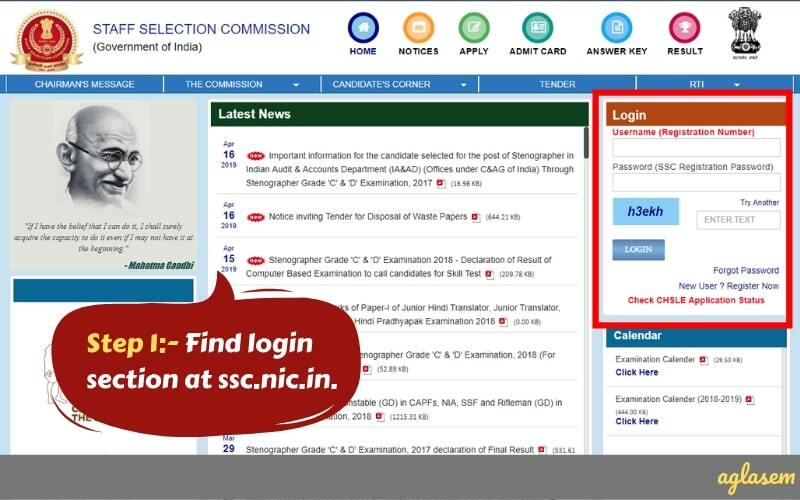 How to download SSC GD Answer Key 2019 at ssc.nic.in? Candidates need their login details namely application number or roll number and password. The exam was held in online mode and candidates do not have question papers to match their answers. Therefore, SSC GD 2019 answer key is in form of questions with answers. Carry out the steps below to download your question paper with answer key. Step 1 – Visit the official website ssc.nic.in. The website has a latest news section. Here, if the answer key is available, then you will see a date with notice on tentative answer key, challenges for Constable (GD) in CAPFs, NIA, SSF and Rifleman (GD) in Assam Rifles Examination, 2018. Click it. Step 2 – Read the SSC GD Answer Key 2019 notification. A PDF file opens that details when the exam was held, in what mode, and that answer key is uploaded at ssc.nic.in. It also contains start and end date of challenging SSC GD 2019 Answer Key, as well as fee to be paid for challenging. At the end of the PDF notice, there is a link for candidate’s Response Sheets, tentative Answer Keys and Submission for Challenges. Click it. 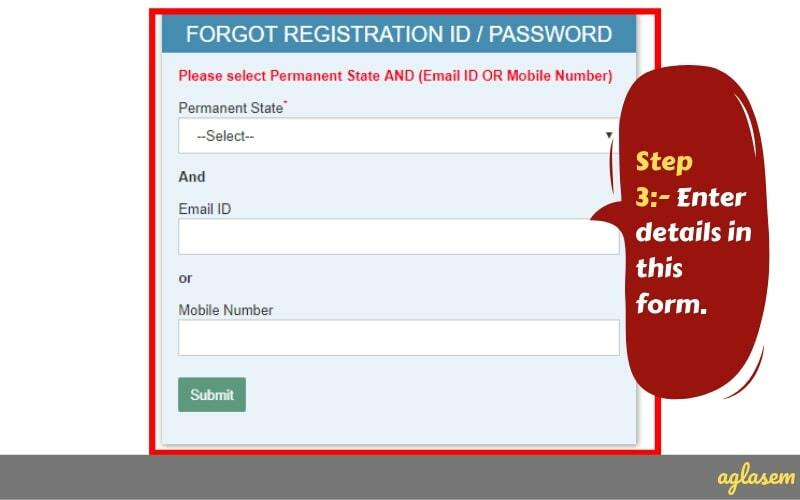 Step 3 – Login to check SSC GD Answer Key 2018-2019, submit challenges, check response sheet. 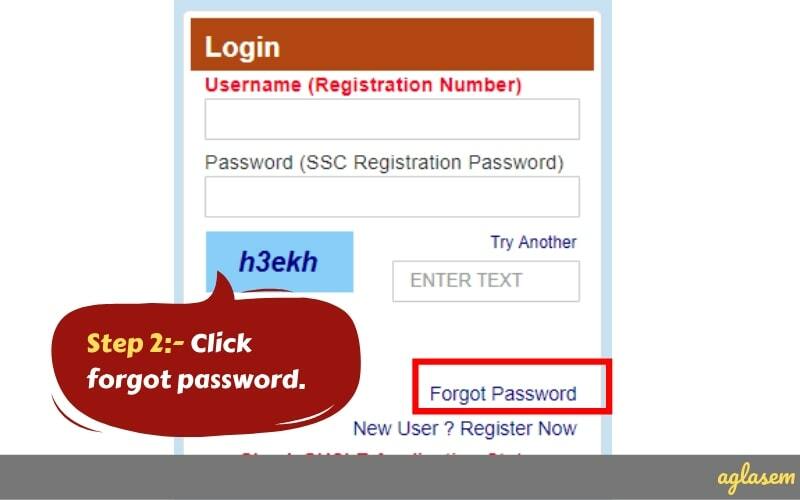 Enter your User ID or roll number, and password. Select your exam date and shift. Then hit the submit button. This video below is of SSC Answer Key of another exam. But the steps for GD Constable Answer Key 2019 will be similar. Step 4 – View SSC GD 2019 question paper with answers. To generate your question and answer, go to Question Paper and Answer Key tab and click on Click here to generate it. As soon as you do that, qp.html gets downloaded in your device. When you click on the downloaded file, then question, options, correct answer, chosen options appear on screen. How to raise objections in SSC GD Answer Key 2019 at ssc.nic.in? Click on Objection view, and then click on click here to raise objections. Once again, you will have to login. Then you will be taken to payment gateway. Pay Rs 100. After that, you can submit your objection as per question code, give your solution, and submit it. Read instructions that appear on your screen and understand them. First go through all questions and answers and then raise objections. Provide complete and exhaustive solution in case of Mathematics or other calculation based topics. All questions are of 1 mark. And there is no negative marking in SSC GD Exam. Thus, to calculate your marks, all you need to do is to add the number of correct answers. There are 4 subjects in the CBT examination. Total marks for the CBT is 100. All 4 subjects consist of 25 marks each. For calculating marks the candidates must have the knowledge of marking scheme. There are 25 questions in each section. Each question carries 1 mark. Allocate marks on the basis of subjects. Thereafter, sum up the marks from all the sections. After considering the objections on the answer key, and making the necessary improvements in the tentative answer key, the Commission will compile the final answer key. On the basis of the final answer key, the result of SSC GD Constable will be released. The final answer key will be released at ssc.nic.in in the form of pdf. The candidates just have to download it when available, but before that, they have to check for the exam date and shift, because the exam held for 18 days in 03 shifts. Hence there must be set wise and shift wise answer key for each day. So be careful before calculating marks through the answer key. An answer key is a very helpful source for the students. With the help of answer key, students get the estimation of marks. They can predict their performance. Students get a rough idea if they are qualifying or not. Candidates must not rely on their estimation. Because the final admission procedure will depend upon the result. The result will contain the final marks and qualifying status of the candidate. Through the subject-wise answer key, students can get an idea of their weaker and stronger sections. The result of SSC GD Constable will be available online at ssc.nic.in. The Commission has released the date of result announcements. The result will be released on May 31, 2019. The candidates who have appeared in the exam will be able to check the result. The result will be final and no revaluation will take place. At first, the result for the CBT will be released. Later after each stage, SSC will release the result. The commission will prepare a merit list on the basis of which they will announce the final Result. On the basis of the aggregate of all 4 rounds, the commission will prepare the Merit List. 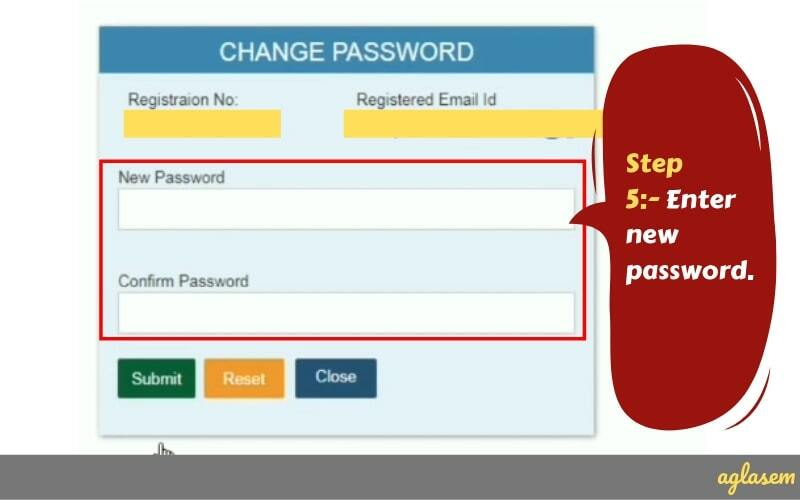 In order to check the result, students need to log in through their Roll number and password. Thereafter, they can view the SSC GD Constable Result 2019. There are some very common questions that candidates are asking. Frequently asked questions and their answers are given below. Qs 1. When will I get SSC GD Constable Answer Key 2019? Ans 1. You can download official answer keys of SSC GD Constable recruitment in April / May. The link to login for the same can be accessed for a limited period of time only. You can download unofficial answer key and PDF files of official answer key anytime since their availability. Qs 2. Are day wise and shift wise answer key PDF files released by Staff Selection Commission? Ans 2. 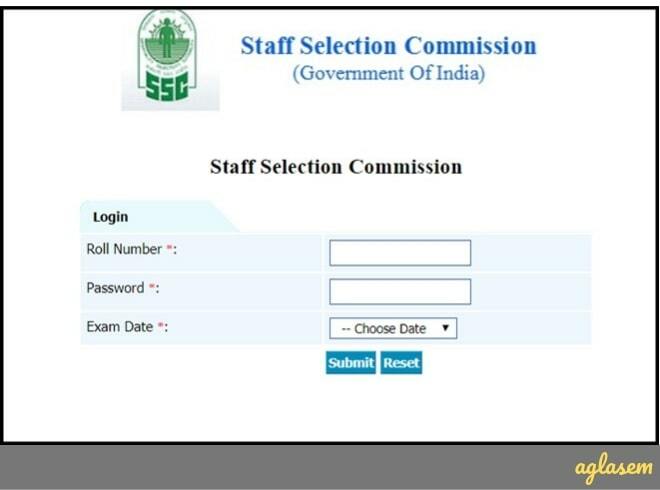 Staff Selection Commission publishes answer key at candidate answer key login. From there, candidate has to select day and shift to get their answer key PDF. Direct PDF download link is not made available by SSC without login. However they can be available from this page. Qs 3. Can I submit a challenge after the last date? Ans 3. No, you can only submit challenges until deadline. Qs 4. Will I not be selected if I am getting less marks as per answer key than expected cut off? Ans 4. The actual cut off of SSC GD Recruitment 2019 will be announced by Staff Selection Commission. They may vary from expected cut off. Therefore there is no guarantee of selection or rejection on basis of answer keys. If you have any queries regarding SSC GD Answer Key 2019, please ask in comments below. Also, let us know your expected marks as per answer key and we will tell you your chances of qualifying.